Stefanie Singletary started with our company in June of 2005. We are so very proud of her accomplishments and how far she has come. 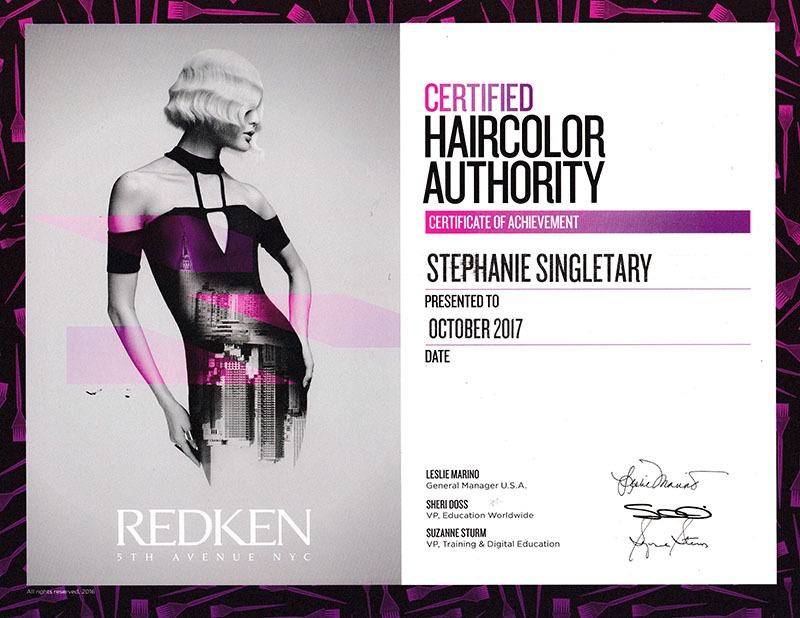 She began as an intern and is now a 3 time graduate of Redken 5th Avenue NYC with our company and her commitment to service is unsurpassed as a Senior Stylist. She is one of the nicest and most professional stylist we have ever met and a willingness to please the client that is unsurpassed. Stefanie graduated from Augusta Technical Institute of Cosmetology with top honors. 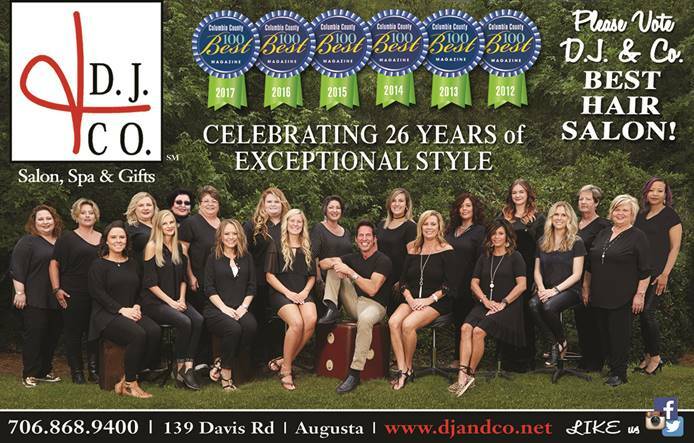 Stefanie has been requested from our company to do many model photo shoots on location for Aiken, Augusta, and Columbia County Magazines and she does so with incredible ease. 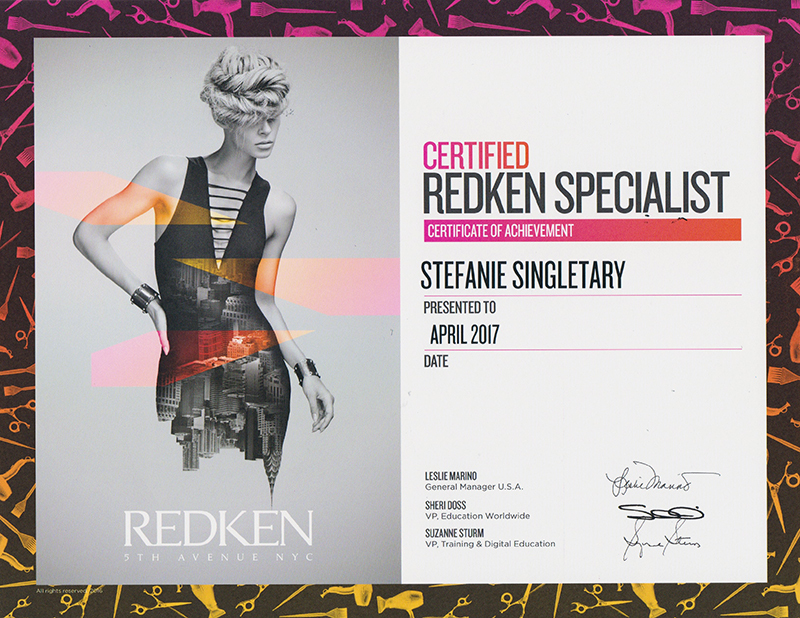 We are very proud of Stefanie and what she brings to our Team of Stylists here at D.J. & Co.